Nine Entertainment Co is to sell ACP Magazines to German media group Bauer for a reported sum of $500m. A statement issued by ACP says the sale is expected to close in the next four to eight weeks. ACP, established in 1933, is Australia and New Zealand’s largest magazine publisher, reaching over 15 million Australians each year. 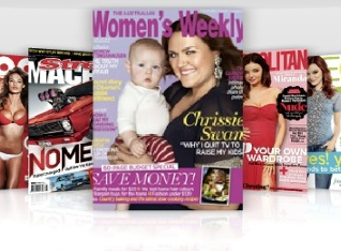 It’s leading magazine titles include The Australian Women’s Weekly, Woman’s Day, Cleo, Australian House & Garden, Gourmet Traveller and Zoo. Nine Entertainment Co’s cross platform operation Powered By Nine will continue to sell advertising on ACP titles, the company said.